EP #016 - Why You Need A Faith Squad? 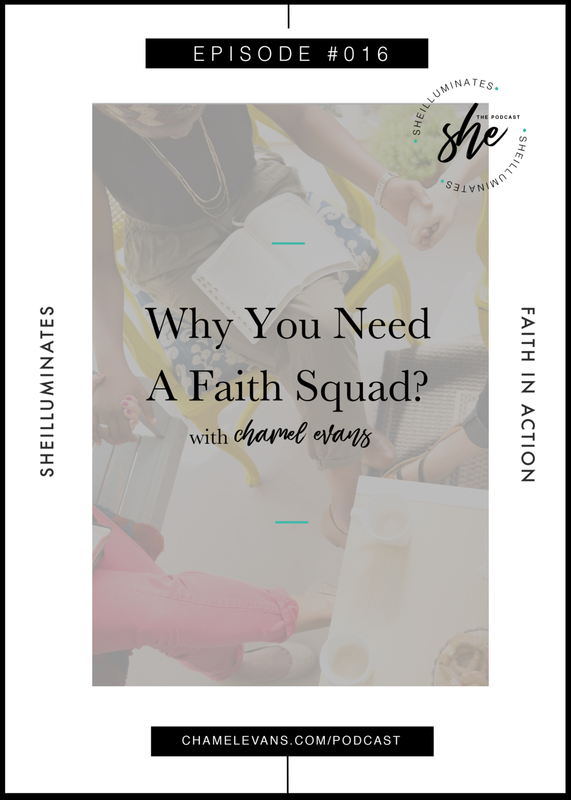 Chamel shares the importance of establishing a faith squad to support you in your spiritual walk. God hasn’t called us to do life alone, but with Him and others. Chamel shares the four key people you need in your life and in your sphere of influence for encouragement, affirmation, guidance, and accountability. And let us consider how to stir up one another to love and good works, not neglecting to meet together, as is the habit of some, but encouraging one another, and all the more as you see the Day drawing near.